Pat has been helping individuals with their mortgage needs for 54 years. She is passionate about her career and and truly enjoys coming to work each day and meeting new people. 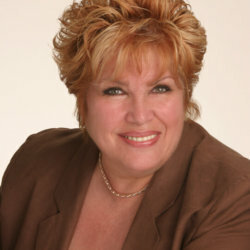 Pat is enthusiastic, caring and enjoys making her clients feel at ease by getting to know them and their families. Pat is also a Certified Senior Advisor (CSA). CSA’s must pass a rigorous curriculum and exam to demonstrate their commitment to ethical behavior and the knowledge required to benefit senior clients and their families.